We will arrive in Memphis on 3/15/2020 for a Hotel Stay. 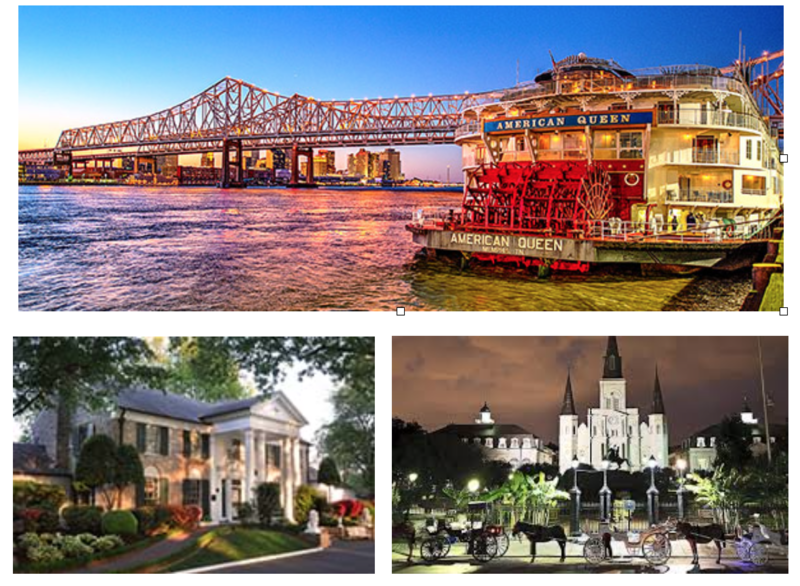 Depart 5:00 PM on 3/16 sailing south on the Mississippi arriving in New Orleans Monday 3/23/2020. Cabin choices/prices vary ($1,499-$8,699). This includes a discount of $700 per person for the group. Can’t think of a better way to beat the winter dull drums then heading south! DO NOT SIGN UP ON THEIR WEBSITE: YOU MUST SIGN UP THROUGH ME TO GET THE $700 DISCOUNT!! !